Will everyone please stop talking about a new Cold War? However badly things work out between Russia and the United States and the West, a new Cold War isn't in the cards because Russia today isn't the Soviet Union. Sure, there are similarities. We are in a diplomatic and geostrategic conflict with Russia, which was the heart of the old Soviet Union. Also, Russia wants much of the real estate that belonged to the Soviet Union before it collapsed. And Vladimir Putin is a former KGB colonel who now waxes nostalgic for the good old days. That's about it. That's hardly nothing, but the Cold War was far more than a conflict with Russia. Everyone should agree on that. Communism, anti-communism and anti-anti-communism divided Americans for decades, particularly among academic and media elites. Right and left may still argue over the merits of those divisions, but no informed person disputes that the topic of communism -- the real version and the imagined ideal -- incited riots of intellectual and political disagreement in the West for a half-century. Meanwhile, Putin's ideology holds little such allure to Americans or the populations of the European Union. With the exception of a few cranky apologists and flacks, it's hard to find anyone in the West openly defending Putin on the merits. And even those who come close are generally doing so in a backhanded way to criticize U.S. policies or the Obama administration. The dream of a "greater Russia" or a "Eurasian Union" simply does not put fire in the minds of men -- non-Russian men, at least -- the way the dream of global socialist revolution once did. And that's a good thing. What's less encouraging is that the actual nature of the threat posed by Russia is being obscured or distorted by the talk of a new Cold War. It's a bit like how for decades, every war was described as "another Vietnam" -- at least until the Iraq war, which now seems to be the prism for every potential conflict. "We don't want another Iraq" is the go-to phrase to justify doing nothing these days. What is downright dismaying is how the West's surprising and bloodless victory in the Cold War left us ill-equipped for the world that has taken its place. For many, the understandable hope was that once the Cold War was behind us, a new era would be ahead of us. Neoconservatives envisioned a democratic Pax Americana. Liberal internationalists preferred a new democratic order led by something called "the international community" that would meet over cheese plates and bottled water at the United Nations or The Hague. Many have called the decade between the fall of the Soviet Union and the attacks of 9/11 a "holiday from history." The truth is closer to the opposite. The Cold War years, while historic in a literal sense, were something of a great parentheses, a sharp departure from historical norms. Communism was a transnational ideology imposed on nationalist movements. That's why every supposedly communist movement eventually became nationalist once in power. Still, the rhetorical and psychological power of communist ideology, combined with the fear of nuclear war, made international relations seem like a sharp break with how foreign affairs worked before 1945 -- or 1917. It turns out, the Berlin Wall wasn't blocking us from a new world order, it was holding back the tide of history. Western Europe was especially slow to realize this. Its politicians and intellectuals convinced themselves that they had created a continental "zone of peace" through diplomacy, when in reality they were taking U.S. protection for granted. They let their militaries atrophy to the point of being little more than ceremonial. The contrast with Russia and China (not to mention Iran and Saudi Arabia) is amazing. In Moscow and Beijing, they still believe foreign policy is about military and economic power, "spheres of influence," formal alliances and political control. In Western Europe (and much of this administration), it's about moral authority, international norms and other kinds of "soft power." Soft power is great, but it's useless against people who only respect hard power. And that lesson predates the Cold War by a few millenniums. 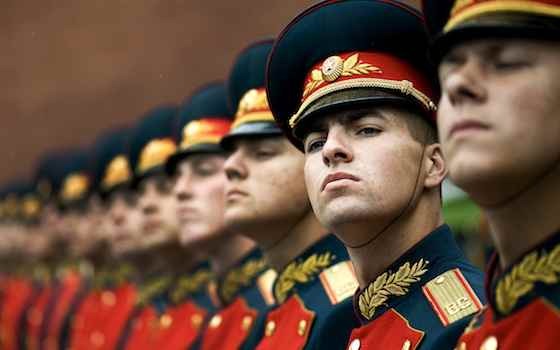 "Russia: Not Your Father's Cold War"